There's nothing more relaxing than coming home at the end of a long day to take in a movie, show, or game with loved ones. 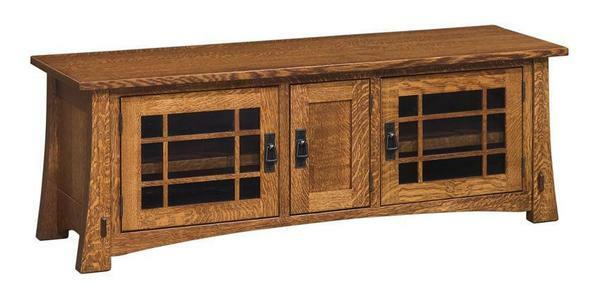 This masterfully handcrafted Montana Mission TV Stand - built, sanded, and then finished to order in a small Amish woodshop in the northern United States - brings real reliability and warmth to these precious, soul-saving moments, with its ultra-durable construction promising decade after long decade of use and enjoyment. To get started, simply select your perfect wood and stain from the menus above. If you run into any questions at all - or if you would like to talk with us about having your Montana crafted with custom dimensions or features - please don't hesitate to reach out to us by email or by phone. We love the timeless versatility of this piece, and we would love to talk with you about the decades of enjoyment that it brings to the home.